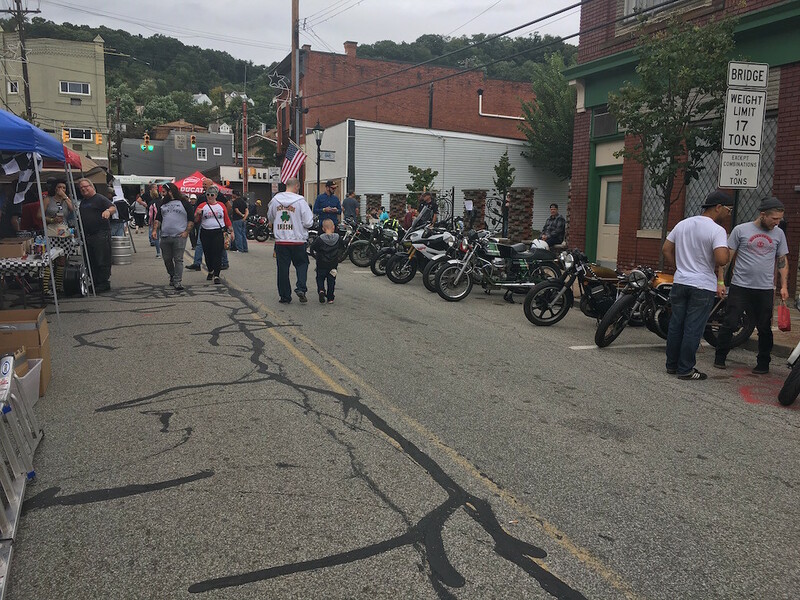 Steel City Mods vs Rockers was today. Its an annual event it the small Pittsburgh town of Millvale. 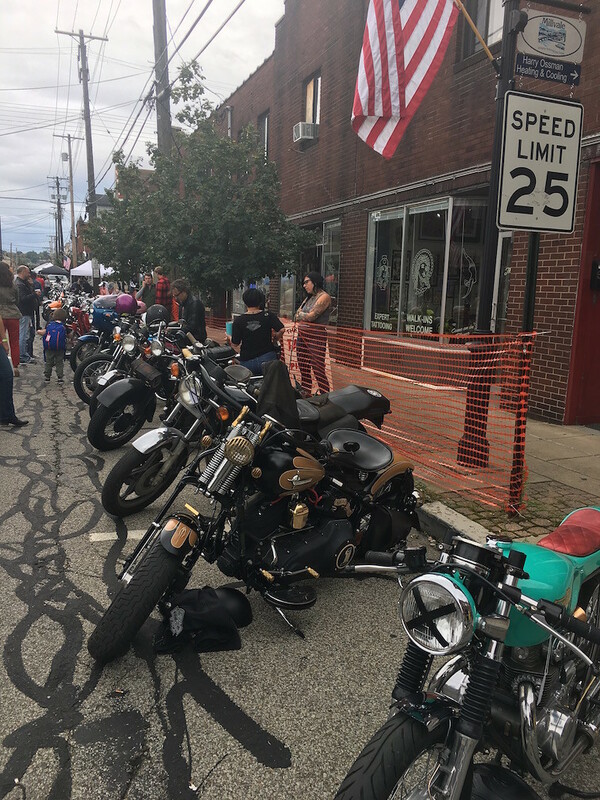 Four blocks of bikes & booths. Included 7 Suzukis: 5 two strokes & 2 four strokes. 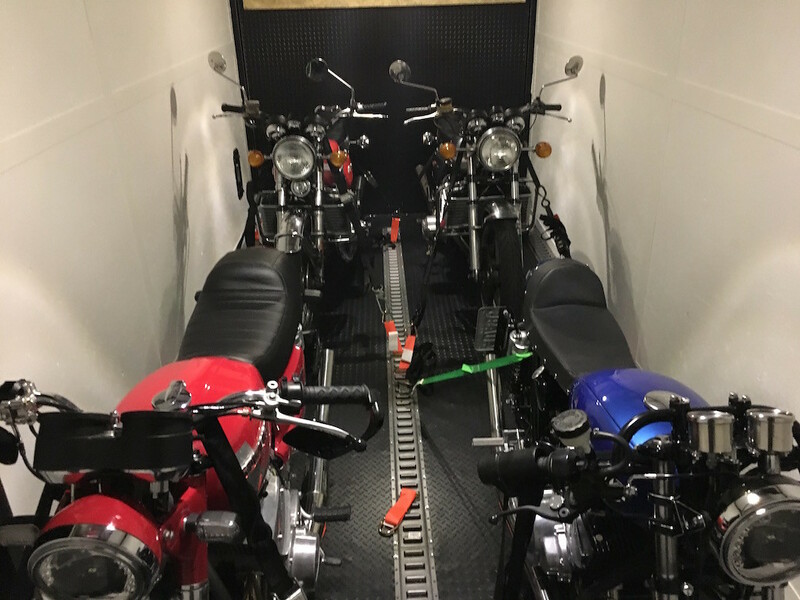 Our 4 Suzukis loaded in friend’s sweet trailer. 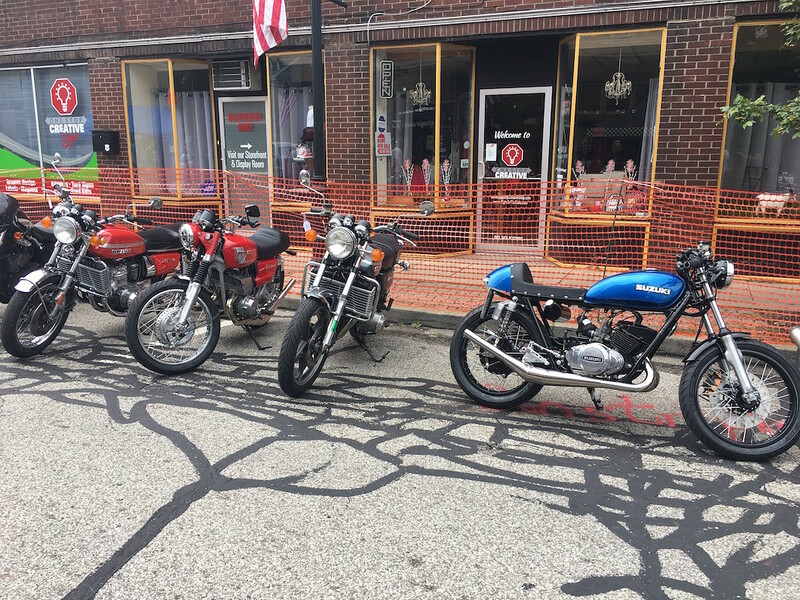 And our 4 four bikes at the show. The other Suzuki two stroke. And the 2 Suzuki four strokes. 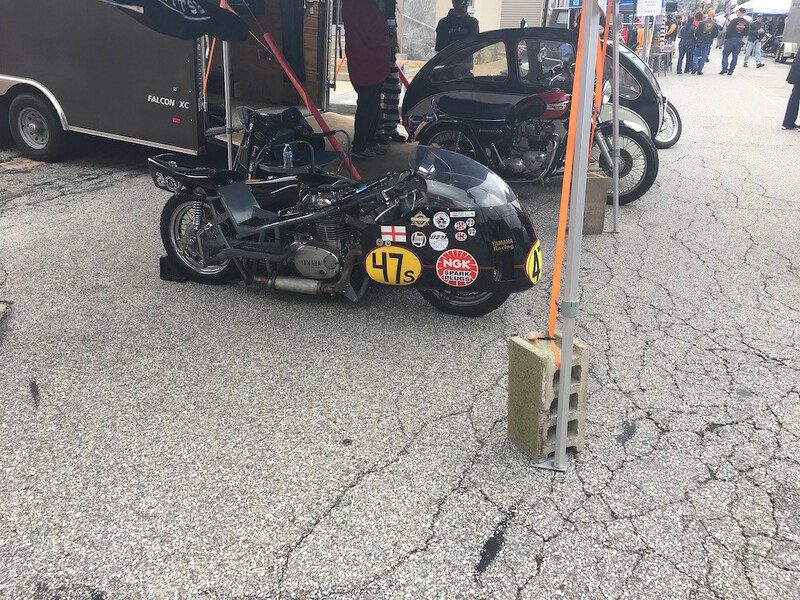 Most unusual would go to a Yamaha racer & vintage Triumph with two-person side car. Two pics of the event. There doesn't seem to be many mods - unless the US versions don't have scooters! Nice bikes though, hope they all get ridden regularly. There were a few scooters. A sweet restoration won the scooter class. The Pittsburgh area has a lot of steep hills & you don’t see very many scooters on the streets. 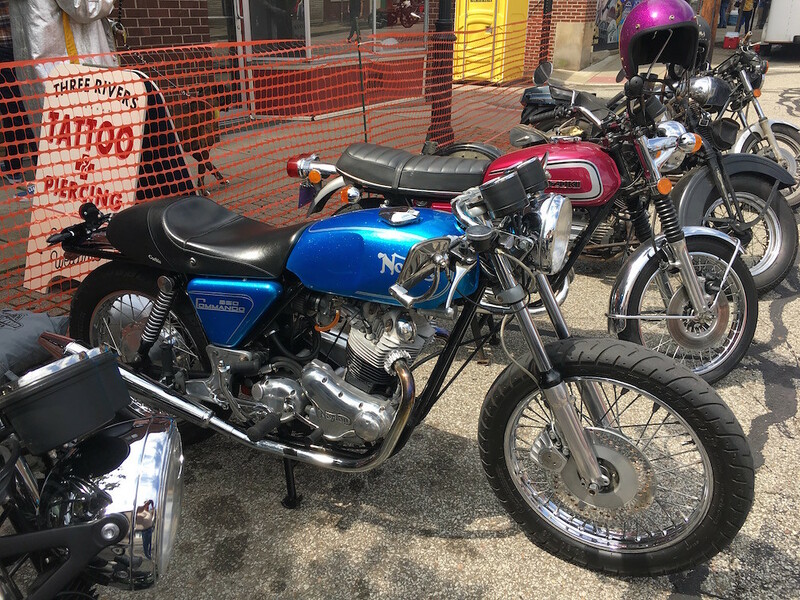 I typically take pics of Suzukis & Nortons. 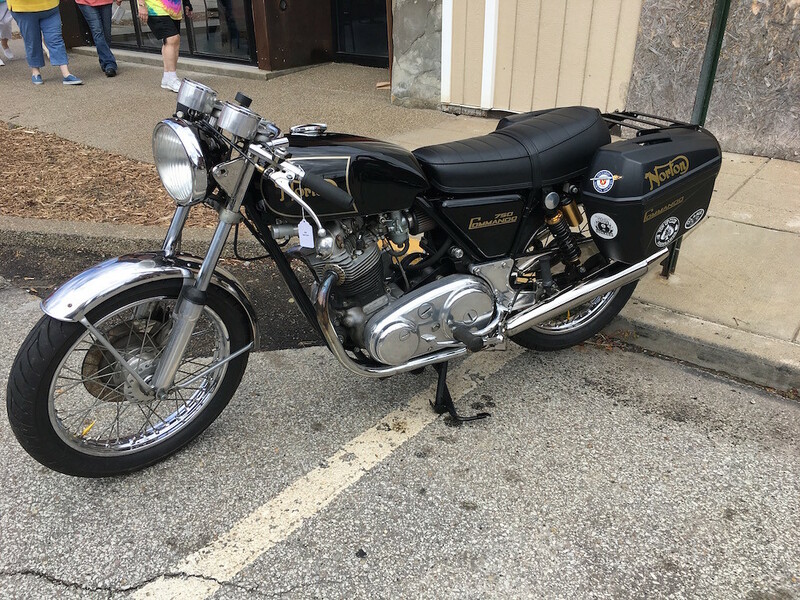 Have never had a Norton but have liked them going back to when they were new & way out of my price range. Left-shift versions are rare & big $$$, but I may end up with one someday. 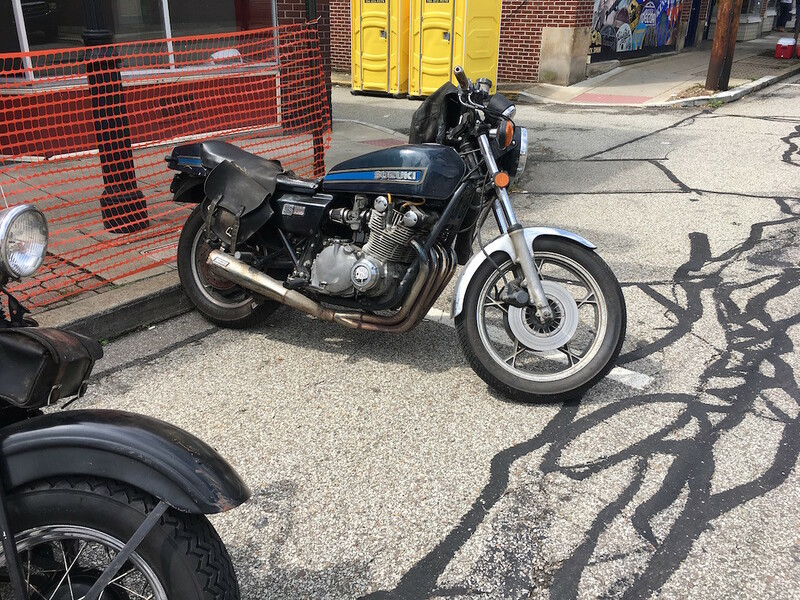 Talked to 2 guys with work-in-progress GT750s. One recently bought a nice one & has it in a shop getting ready for the street. The other built the little green Honda CB in my 9th pic. 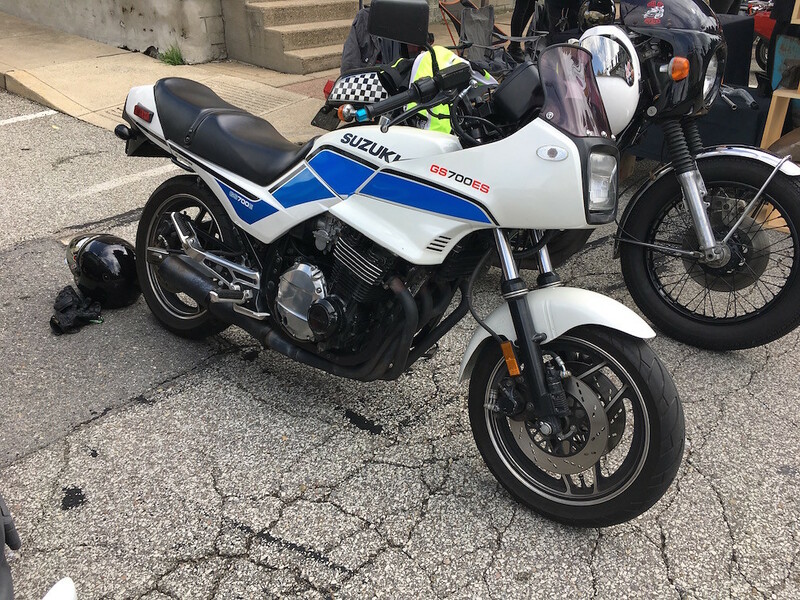 He got a low-dollar 72 GT750 project bike & wanted to talk tech issues. 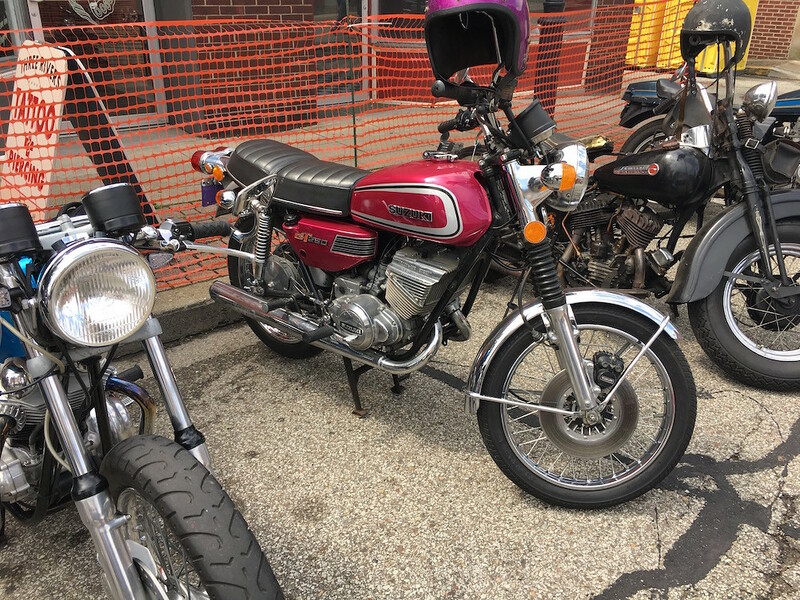 Both had me run my gray GT750 with the Jemco 3-into-1 chambers. Sweet photo of the GT250 cafe by the Mods vs Rockers crew.